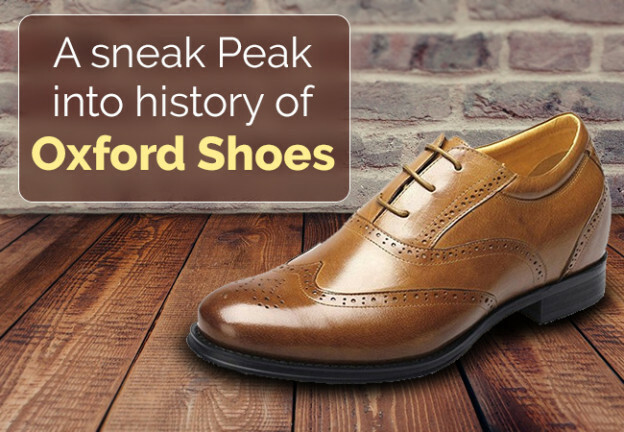 A sneak Peak into history of Oxford Shoes! Oxford shoes – one of the most versatile shoes in the history of men’s fashion. Basically, there are two types of formal shoes – Oxfords and Derbys, these styles are originated from Ireland and Scotland and sometimes known as Balmoral shoe (Queen's castle in Scotland). The main body of the Oxford shoe is designed in such a way, it gives you a seamless look. Somehow, it differs from Derby shoes as they are stitched underneath, or at the top, commonly known as closed lacing. This classy style is a sleeker itself, giving an elegant and a formal look. On the other hand, Oxford shoe has other features like toe caps, which are stitched on the top, with the holes punched in-to the leather with embellishments. We can't forget one of the attractive features i.e. wingtips shaped in W, thus giving an appearance of the bird spreading wings. Nowadays the Oxford shoe has become a classy and a versatile piece of accessory that can be styled with any business wear and at any formal event or occasion, casual occasions like weekends or dates, ceremonies, and weddings to dress. Ever man should own this beauty either in brown or black, else it's would be great if you buy both. If you are a die hard fan of dressing like a classy person, then this can be achieved easily by opting Oxford shoe in suede color. Quick Tip: Thinking about wearing this with your jeans, make sure you wear it in a slim fit or straight till the ankle length. Another important thing to remember is choose the color of your denim in a light color and for the top part, wear a sophisticated and a classy shirt, with a tie, knit or jacket. So, Gentleman! How will you dress up Oxfords? You can share tips by commenting below.